If you’re looking for your dream home, the Fox Chapel office of Howard Hanna is the best place to start. Under the management of Vice President, Associate Broker and Manager Michelle Lantz-Echnat, the office has been completely renovated for today’s modern working environment, meaning more convenience and state-of-the-art features for clients as well as agents. But an inviting office is just the icing on the cake—the talent contained within the walls of the Howard Hanna Fox Chapel office is what truly makes the difference for home buyers and home sellers. 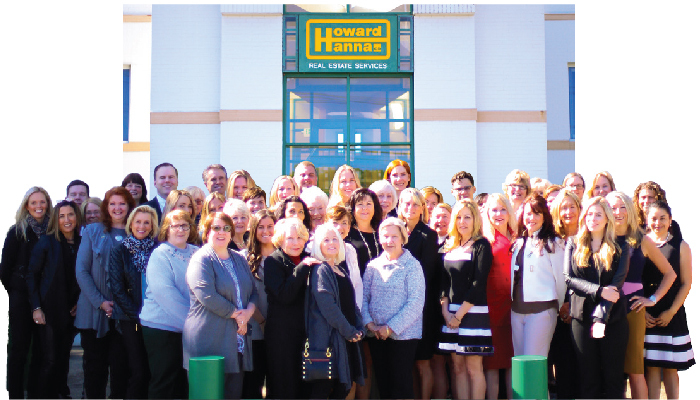 The Howard Hanna Fox Chapel office is also the number one office in Homes of Distinction real estate listings, with 45 homes listed at $750,000 and above on the market at any given time. Homes of Distinction is an exclusive Howard Hanna program for luxury listings. But the Fox Chapel office isn’t just for high-end buyers: it also caters to first-time home buyers working on a budget with an innovative “My First Home” program that enables buyers to purchase their first home with as little as 3.5% down payment. Part of that may be Lantz-Echnat’s leadership skills. Born and raised in Fox Chapel, with three children in the school district, Lantz-Echnat started working for Howard Hanna right out of college as a sales associate. Today, she’s selflessly leading her team to success after success, and has been named Howard Hanna’s One Team, One Dream Top Manager for Pennsylvania in 2014 and 2016. For more information on how this “dream team” can help you buy or sell your next home, visit the Fox Chapel website here. You can also call directly at 412.963.6300, or stop into the renovated office at 1090 Freeport Road.